Eastern Hills & Southern: Quick Picture. Done painting for a bit so I threw the bodies back onto the frames. 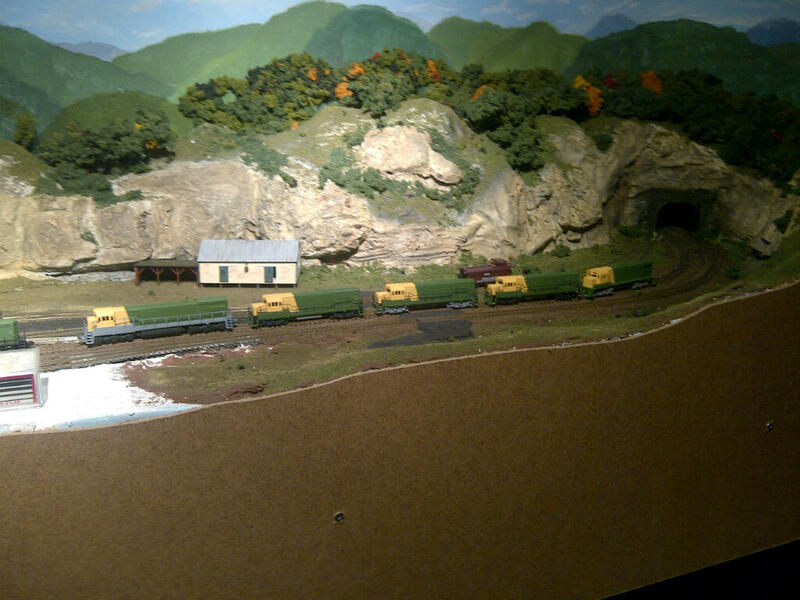 Makes some space on the bench, I still have to finish the trucks & Fuel Tanks. I have to make a repair to one of the u25's, I got a little softer than expected stripping the paint and i accidentally broke part of the nose. That's why there are now only 3 painted. Not the 4 I planned on. The U30 frame is still in its primer for a little longer, the C-424 just needs it trucks done. They look great so far. I may know where you can get another shell. Let me know. I can repair the shell, Just needed some styrene. Which i picked up yesterday.